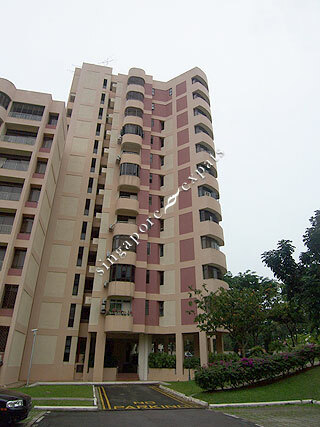 Far Horizon Gardens is a 270-unit 99-year leasehold condominium tucked along Ang Mo Kio Avenue 9, off Yio Chu Kang Road. It takes about 10 minutes walk to the nearby Yio Chu Kang MRT Station. Many amenities can be found in the Ang Mo Kio Town Centre which consists of library, supermarkets, hawker centre, fast food restaurants, polyclinic, cinema and many other shops. There is also a string of public buses just outside Far Horizon Gardens. It is a traffic-free drive to the American School, which takes less than 10 minutes via the Central Expressway (CTE). Singapore Island Country Club, Orchid Country Club, The Golf Academy are also within short driving distance. This is THE home for the large extended family. The large living room really attracted us to this apartment. I don't think there is another condo with such a large living area at this price. We also really love the quiet environment, where kids have space to run around downstairs at the large playground and us parents can relax at the swimming pool. And did I mention that the neighbours are really friendly too! This is a quiet and spacious apartment, great for Asian Expats. Quiet and clean swimming pool, great for excercising. Located within walking distance to a local wet market. Open air parking means you smell the fresh air when you leave your car. Did I mention that the neighbors are really nice too?